Are you prepared to manage a medical emergency such a seizure? Would you know how to help a friend with a dislocation or broken bone? Learn how to recognize and manage these emergencies and many more by enrolling in a first aid, CPR and / or automated external defibrillator (AED) training course. The leading provider of first aid services in Nova Scotia is Halifax First Aid. They have the most experienced and knowledgeable staff and they offer the lowest prices on all workplace and academic approved courses. They also other services such as first aid attendant rentals, supplies, facility audits and re-stocking. A whole range of services is available with this provider including on-line workplace approved WHMIS, TDG and MSDS training. Registration can be conveniently completed on-line, via email, telephone, in-person and even on-line chat. To register for a course or for any other service available with Halifax First Aid use the contact information posted below. See what this provider can do for you. Customer service staff are available from 7 am to 6 pm Monday to Sunday. 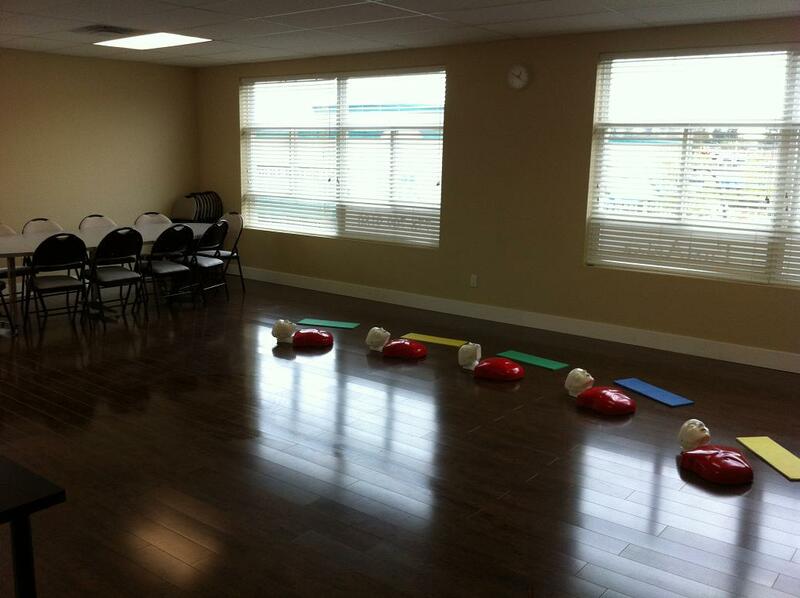 All training classes featured with Halifax First Aid are clean, conveniently located, well-maintained and include friendly and welcoming staff. Why Register With This Provider? Gloves are an essential part of first aid because they protect both the victim and the rescuer from micro-organisms that can be detrimental to health. Nobody provides lower prices for first aid, CPR, AED, safety and food handling programs. Course fees include a take-home manual and certification (valid for 3 years) is provided immediately upon completion of the course. Certificates are awarded after the student completes the program. Valid for three years, the certificate can be renewed through refresher courses held twice a week. Halifax First Aid offers classes at very affordable rates. Rates are inclusive of taxes, certification fees, and St Mark James training manuals. Full refunds are also given if you drop out, provided a 72-hour notice was done beforehand. Oresol or oral rehydration solution is a common management technique for children (and even adults) experiencing dehydration, usually during excessive diarrhea and vomiting. Drinking a lot of water or juice isn’t enough. Sports drinks and oral rehydration solution will be able to replace the water AND electrolytes lost. Oral rehydration solution can be bought from the pharmacy but it can also be made at home. Just mix one teaspoon of salt and 8 teaspoons of sugar in 1 liter of water and drink 1 glass (200 ml) ever 4 hours as needed.